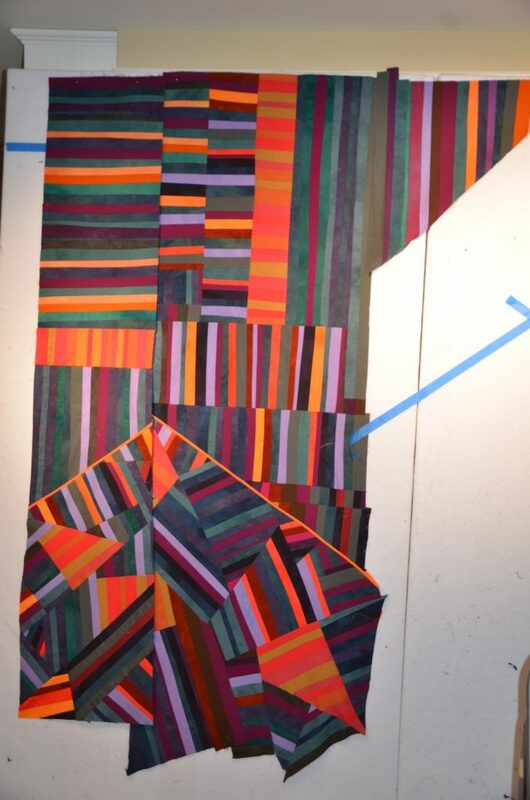 About two weeks ago, I was really feeling quite smug as I thought I had my Art Prize entry for 2014 all pieced out and ready to trim and photograph. 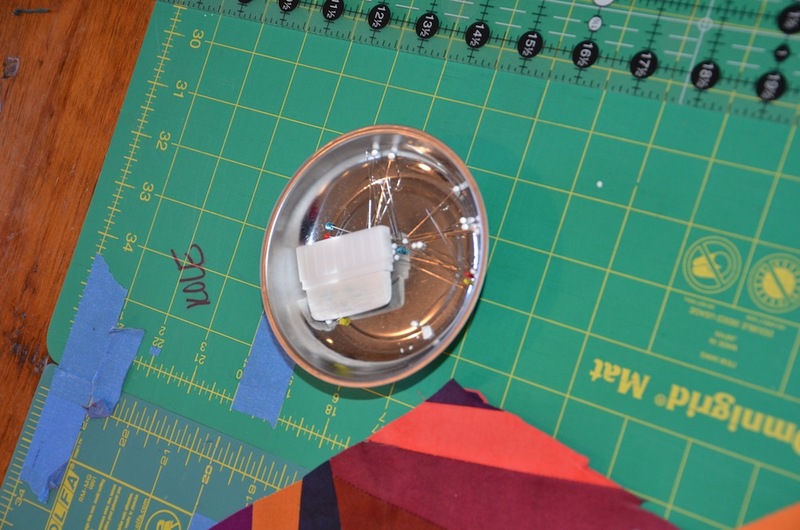 I was going to use a workshop piece that I had created last fall. But I pulled it out and really didn’t like it for this exhibition. So , I gave myself 48 hours to decide: yes or no to Artprize 2014. The answer was yes but with a new piece. 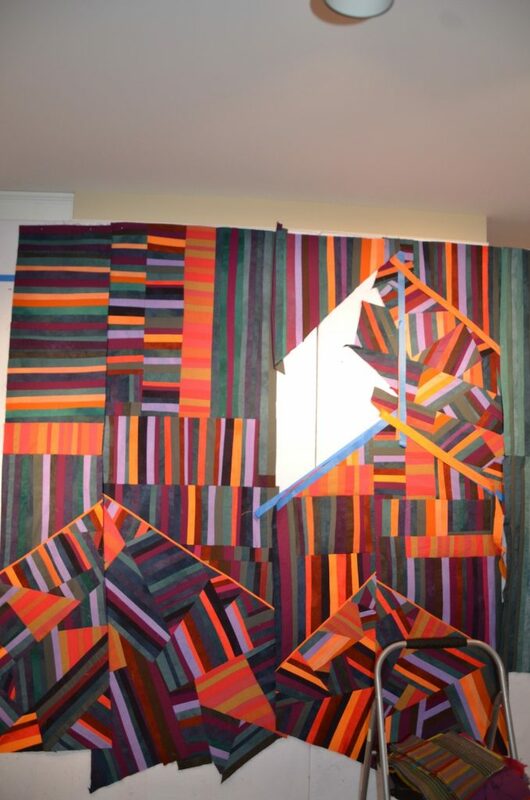 And I only wanted to devote one week to see if i could create something Artprize worhy. Here is the chronicle of events over the past few days in pictures. I am not going to spend lot of time editing them for you but just lay them out as I took them. I wanted a plan to limit my overall craziness as I obsess over new designs. 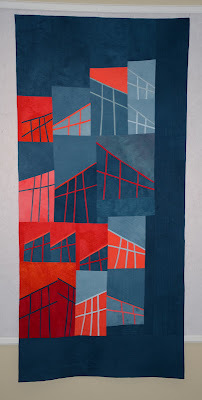 So I wanted to make another piece similar to Rooflines #8, a red/blue piece. Super simple , I thought. Start with lots of strips so I have options. 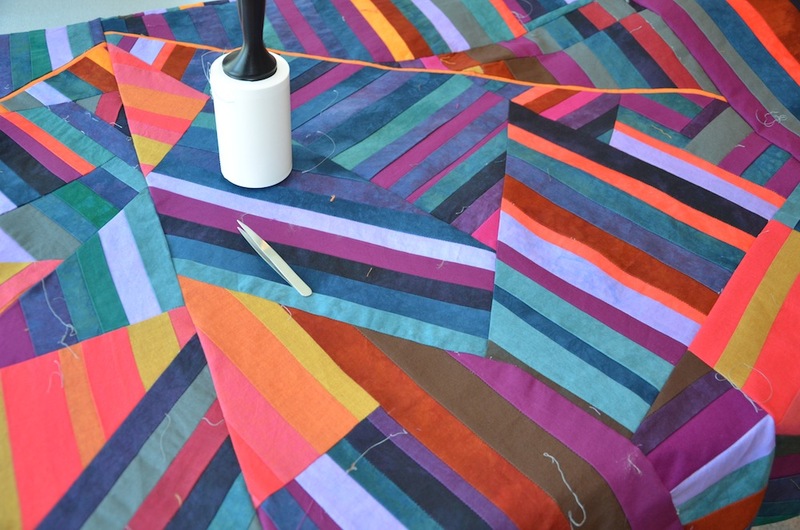 I really hate strip piecing -why did I choose this? Too late to change and I decided to just plod ahead. Ok, just focus and take pictures. Think about values. Black and white looks good. Keep going. I have no more of the lighter colors but I ignored this blatant fact. No problem as the board is filling up. Ignore design and fill up the board. Seems like a great plan. Filling up but kind of dark. Add lavender strips. Rip it apart to do it. Needs rooflines inserted. Good job with one set in and looks good. Other sets of roof lines needed and placement looks good. Keep going. Wake up in the morning and realize that it looks like a set of draperies. Ugly draperies. It was a few hours of panic. One of those Ralphie moments form The Christmas Story when the dogs steal the turkey. What are you going to do now, Miss Smarty? Better cut it up. Ok, cut away. and my tailors’ chalk as I can’t live without it now. Chop it up and insert pieces. Better, I suppose. But I had no idea how to inset parts and pieces on the other side. It was way past my construction level and i was in a piecing pickle. I could have done it so much easier IF I had a well thought out design. 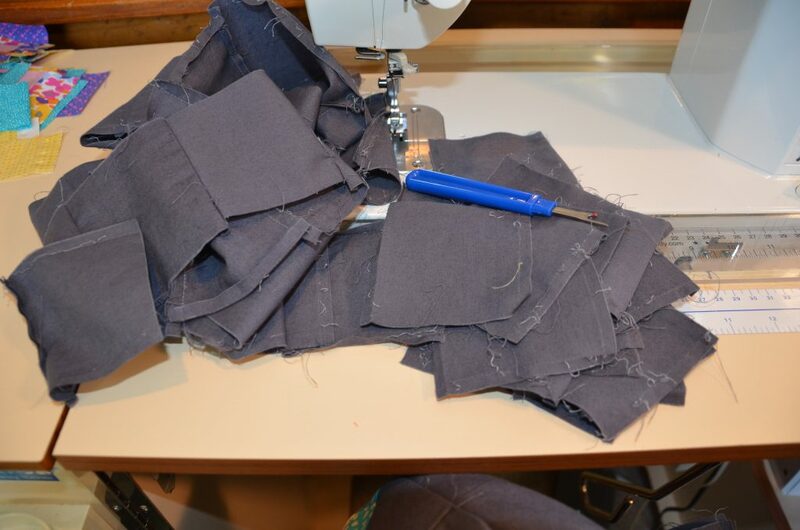 Learn how to inset seams and do all sorts of strange rip outs in order to make it work. Done as it will be for now. It measures about 68×65 so not a small piece. My critique in my journal. I give it about a 5 on a 10 point scale with room for improvement need but a god seed project. Yup, I have spent 105 hours on it from april 16-April 26th as I am trying to calculate how long some of my processes take for our Master Class. 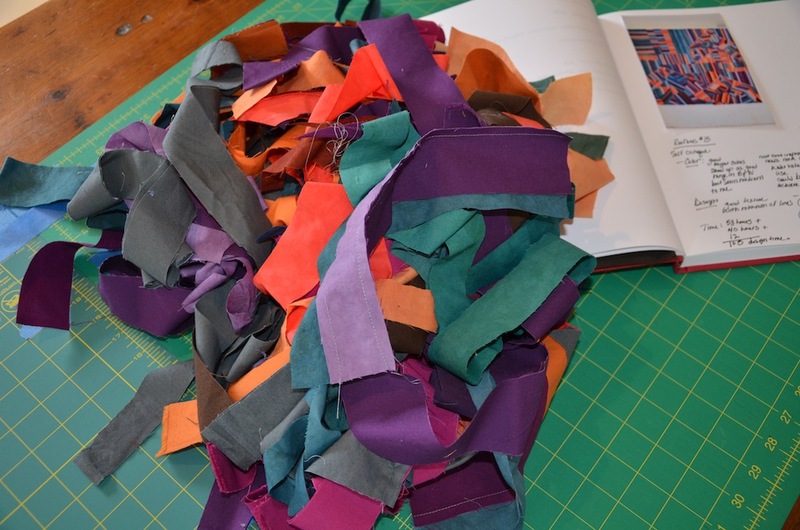 That’s all the fabric I had left at the end of the piecing frenzy. And there is the anatomy of my process and Rooflines #15. I will give it 48 hours to deem whether or not it is Art prize worthy. I never like a piece when it’s first finished. 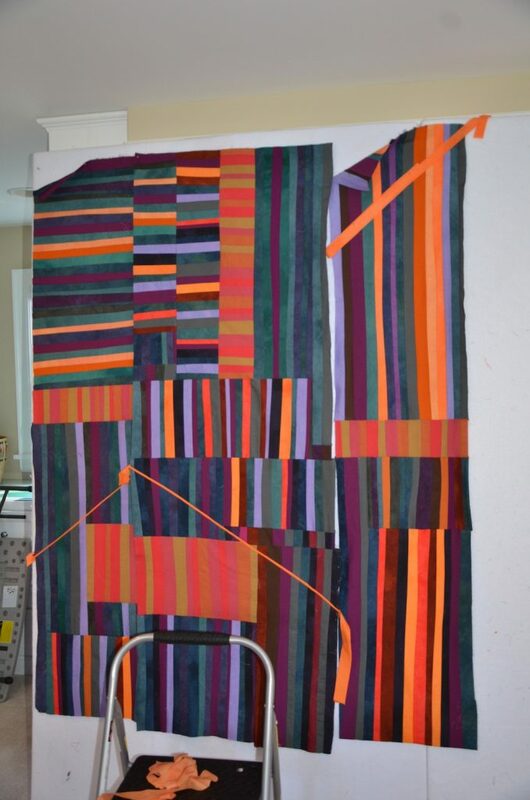 I do love the accomplishment , though, of conquering this piecing job! 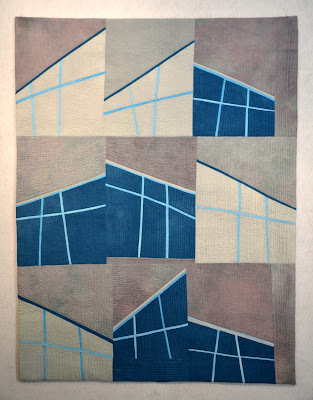 This entry was posted in Artprize 2104, Quilts 2014, Rooflines series, Uncategorized on April 27, 2014 by Colleen Kole. It’s almost February and I feel as if I am finally starting the year out right! 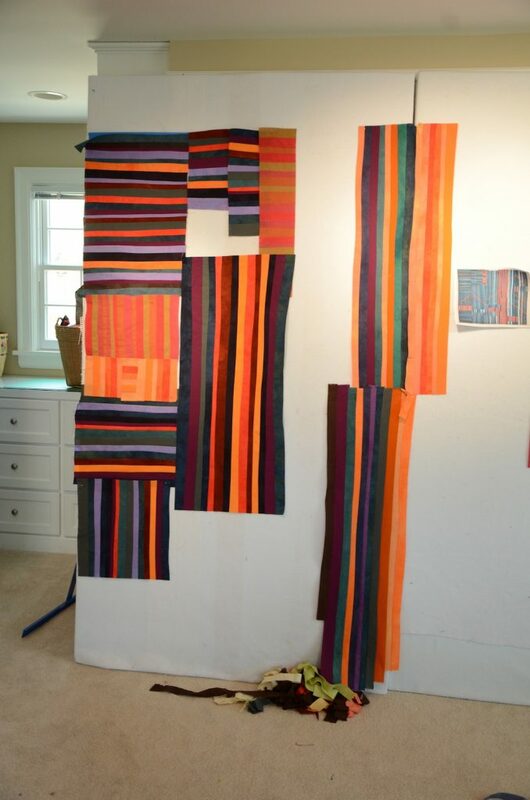 It has been bitterly cold with lots of snow so I have been enjoying working in the studio. 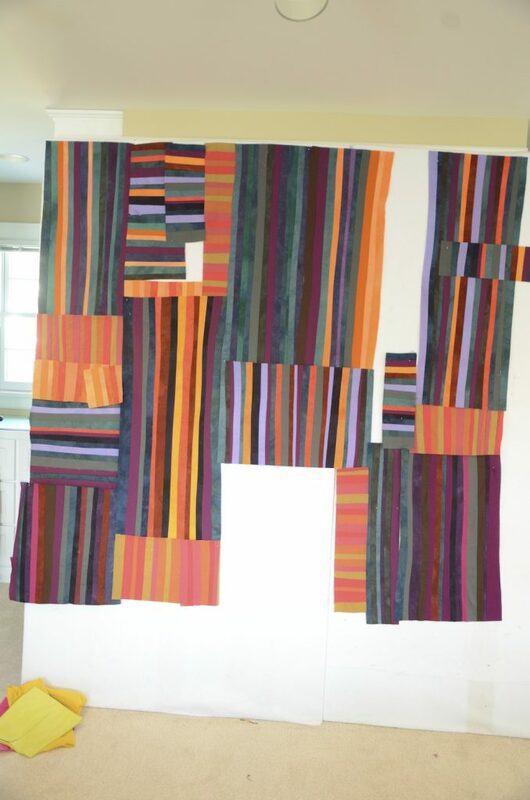 Some of my first goals are to finish old lingering half done pieces which are truly worthy of completing. 1. Finished up Rooflines #2 which I pieced 2 years ago in Lisa Call’s class Working in a Series. It was one of my favorite in the early series so I have no idea why I didn’t finish it earlier. But it’s done now. It was a great class and I really recommend it for pushing forward with your work. Terrible lighting with all the dreary winter weather with this picture. 2. Then I tried to correct a big problem. I had made this piece and it was just for me as it is my barn in Vermont done in my Rooflines series. 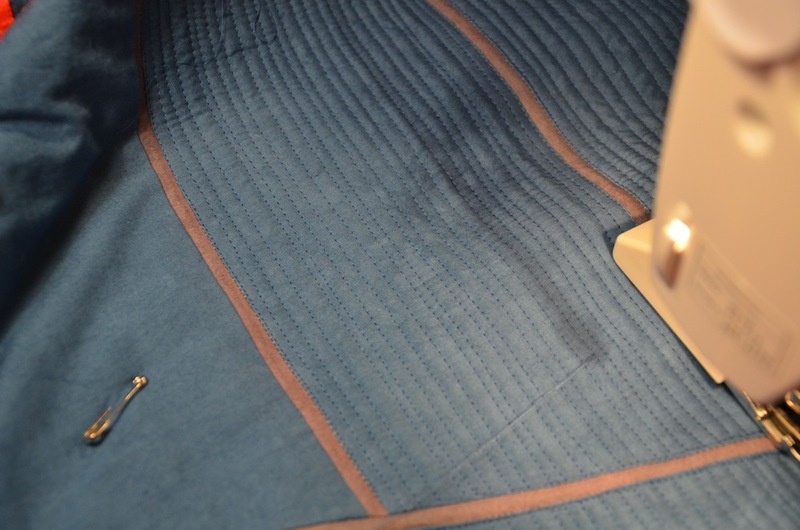 I sat down to work on the machine quilting and look what happened…grease leaked all over with my walking foot on. I must have been careless the night before when I went to oil the machine. I tried washing it and even treating with a degreaser but it wouldn’t come out. I washed it three times and then admitted that it wasn’t going to come out. Note the big swatch of grease on the lower right blue region. UGH. So I hand appliqued a piece over it, machine quilted over the area and washed it again to make it all crinkly like the rest of the piece. Geez what a mess. But I think that it’s ok for me and it will have a proud new place to hang at our home in Vermont. I now have it ready to bring with me and hang it up when we go there in February. And Rooflines #8 is completed which is even better! 3. 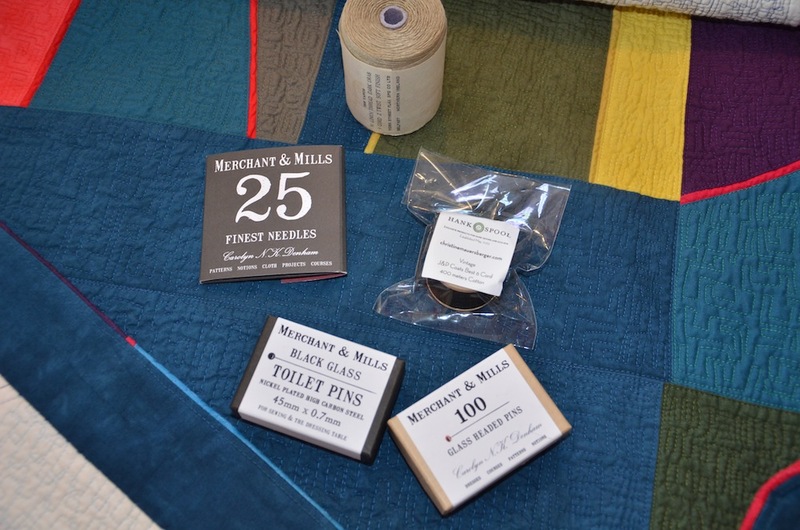 I ordered some lovely supplies from Christine Mauersberger’s online store Hank and Spool . It’s a new addiction and I am currently just petting these these little lovelies until I have some small surface design pieces ready to be stitched. That’s one of my long term goals for this year. 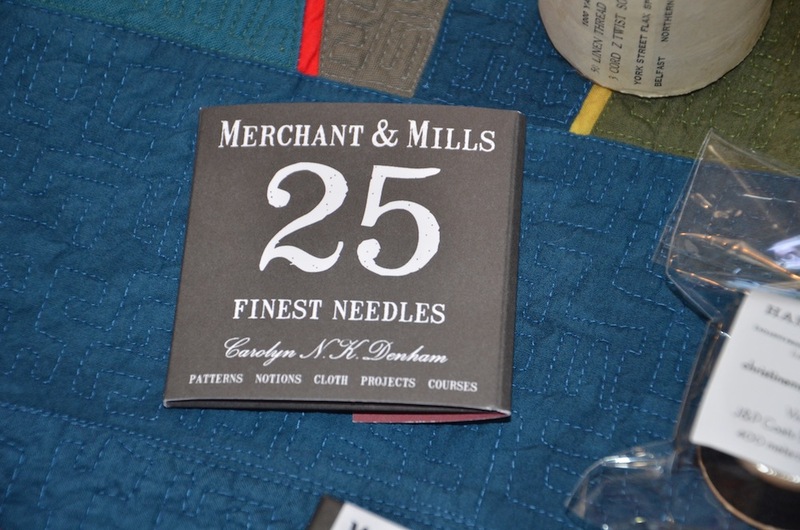 I love these needles for sewing on a facing. They are larger than I would usually use but boy they just slip through the fabric like butter to make the job so much easier and faster. Did I tell you how much I love them? Too much. 4. And I finalized my yearly goals. I promised you a post but I was just too busy in the making. Next up, I promise. 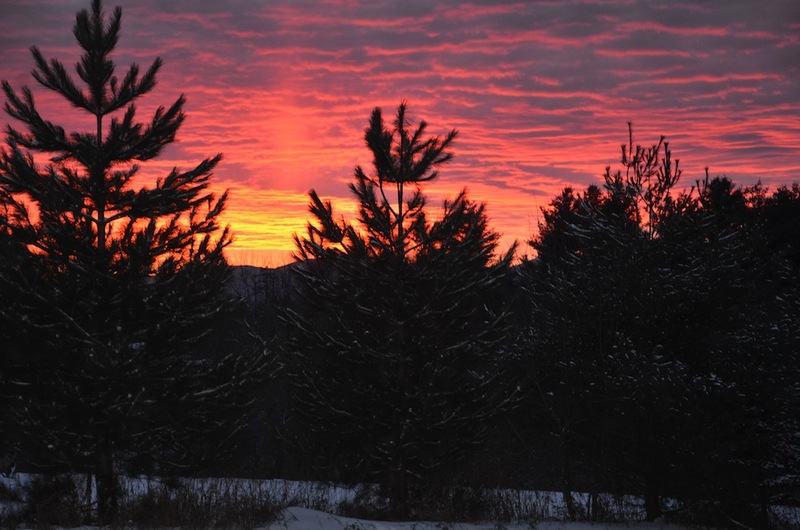 This entry was posted in Lisa Call. 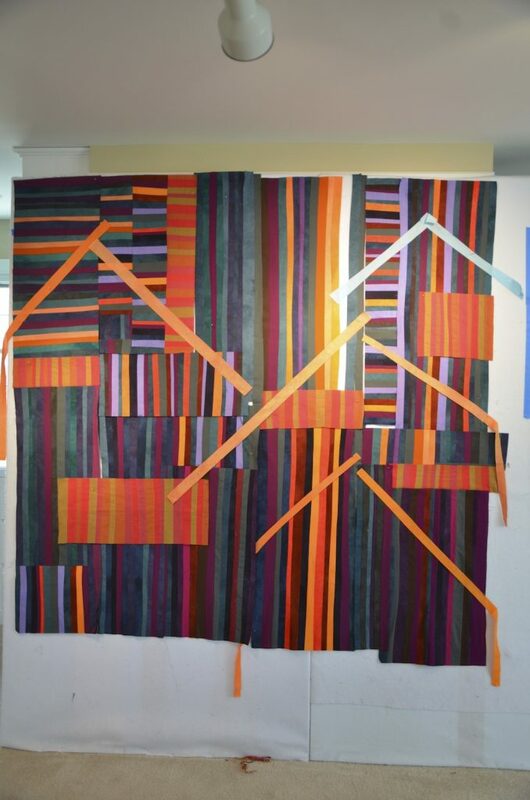 workshops, Quilts 2014, Rooflines series, Uncategorized on January 28, 2014 by Colleen Kole. Well, it went from manic holiday making which I found more fun than I ever imagined to manic holiday fun cooking, shopping , wrapping and family celebrating. My husband and son left the day after Christmas for a soccer tournament at Disney so I hung out with my girls and purged my house and studio. This was an epic manic event which involved several trips to the recycling center and Goodwill but all the mania was wearing me out so I needed a sense of control again. 🙂 I am sure if you are , in any way, a manic maker, you understand exactly where I am coming from. (Otherwise this is a ludicrous post and you can enjoy my pictures. ) 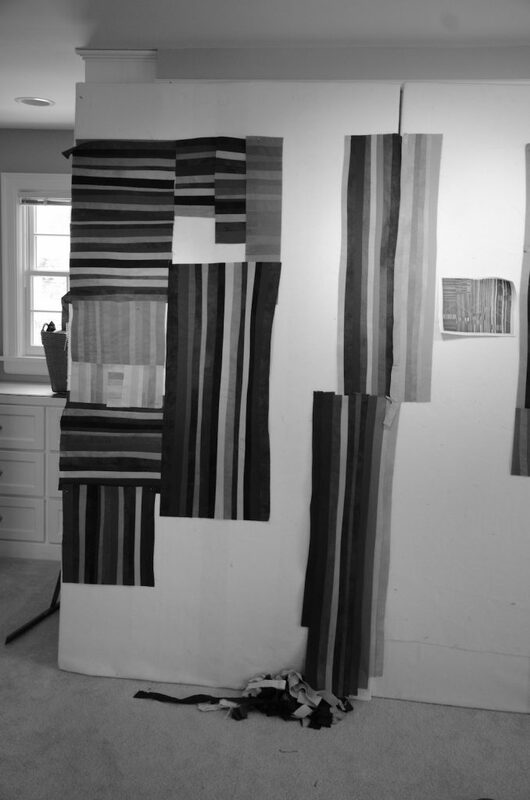 The house and studio were more than out of control and I wanted to start the year out – in control. 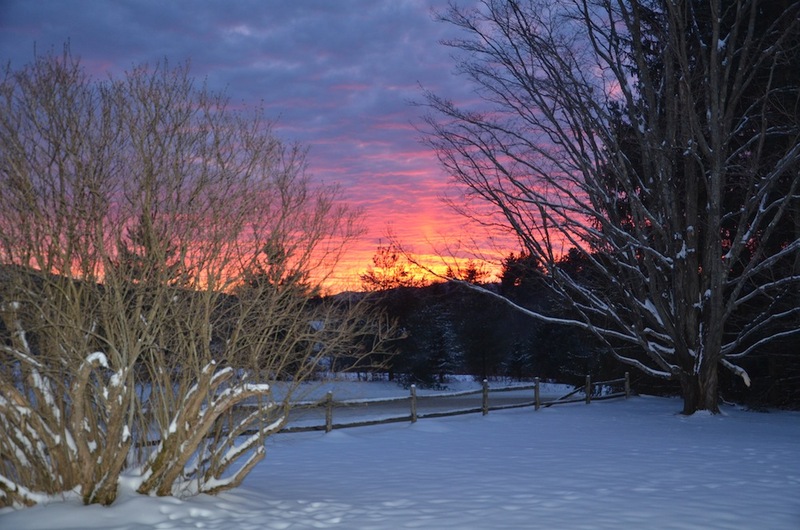 Once my son and husband arrived home, we loaded up the car and drove 14 hours in bitter cold to our house in Vermont on New Year’s Day. I arrived here realizing I had a horrible sinus infection so laid here in front of the fire for the last three days. 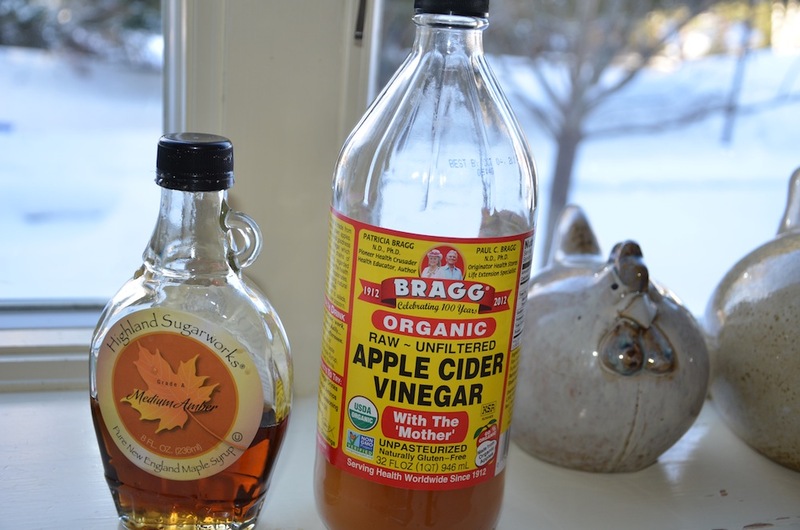 My neighbor brought me this concoction and I tried it. But also with an antibiotic. I was not at all listening to my body which was getting really tired after all the manic making and holiday stuff. Lesson learned once again: If you want to make holiday gifts, start early in the year and have fun making gifts year round rather than during December which is one of the busiest month’s of the year. I returned to the land of art making today. I was kinder to myself. I played as I felt rusty. I took out a set of fat eighth’s I had dyed during a class last winter. 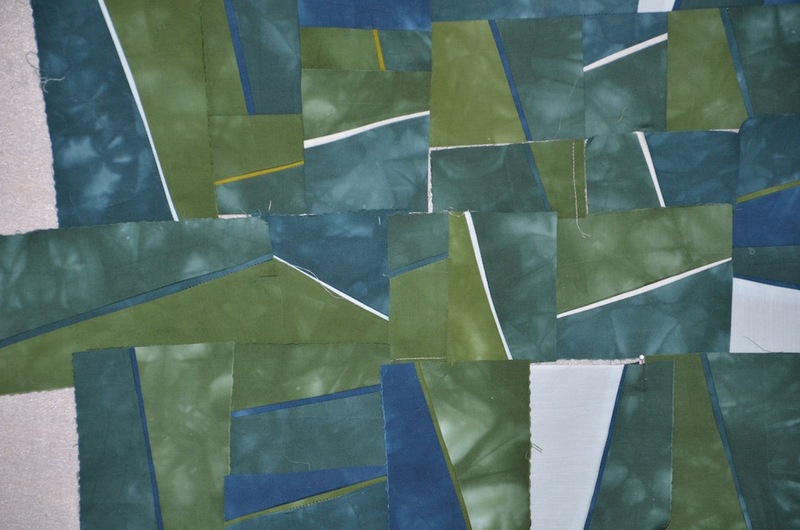 I just started mindless piecing and really enjoyed drawing fine little lines in my fabric. 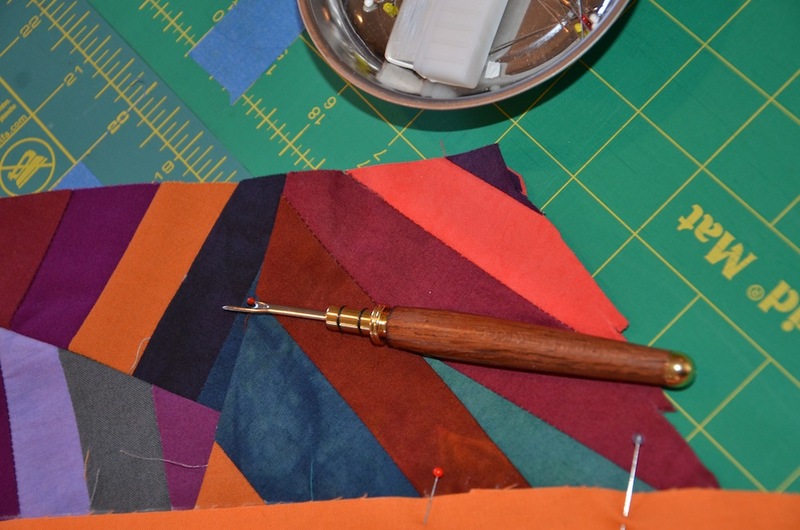 It felt really good to return to the land of making. What are you working on? This entry was posted in on being a studio artist, Rooflines series, small works, Uncategorized, working in a series on January 4, 2014 by Colleen Kole. 1. My first item on my procrastination list was to re-label some of my pieces. I noticed how tacky some of my older labels looked when I went to the gallery to drop off my work a few weeks ago. 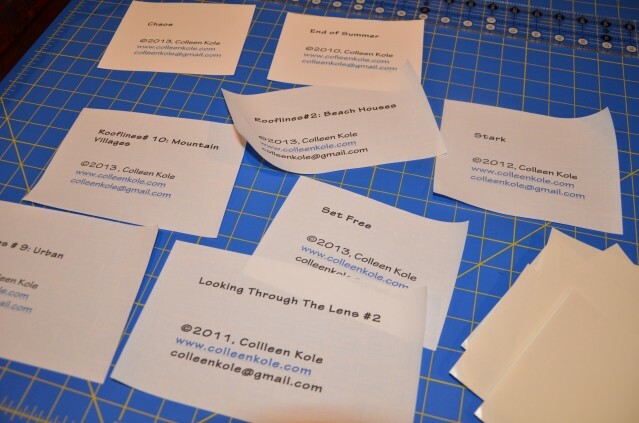 I used some very expensive Printed Treasures paper to print out these labels. These were incredibly stiff to sew through and I would have given up on this whole re-labeling process but the idea of wasting printer ink was just not something I was willing to do. I finished all of them and all my quilts have labels now! 2. Then, I got to work re-purposing. 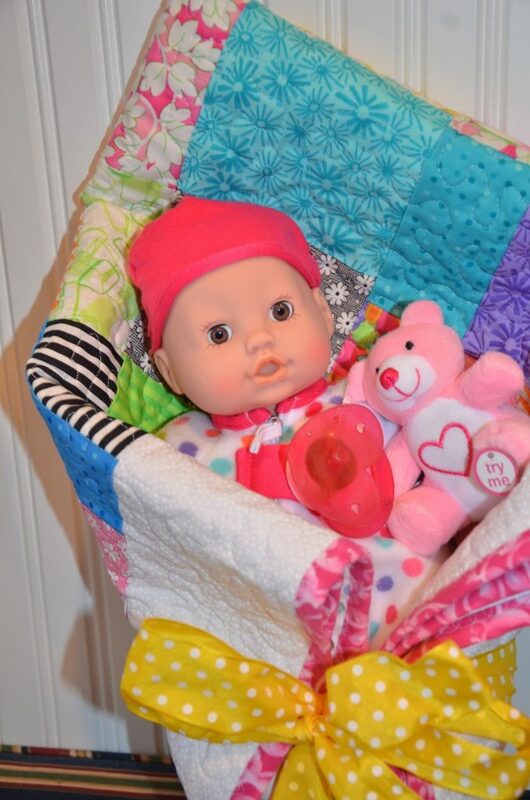 I ended up with 3 baby quilts for the neonatal unit at our local hospital and 1 baby quilt and baby doll for our guild’s Christmas charity event. I was in such a rush that I only took the silly doll quilt picture. 3. I unsewed and started again a gift for friend who is ill. It is finished except for the binding. Woohoo but I can’t show you yet until I gift it. 4. And last, but , not least, Christmas gifts. One binding needed on my brother’s quilt (he requested very simple) and the other quilt not yet started. 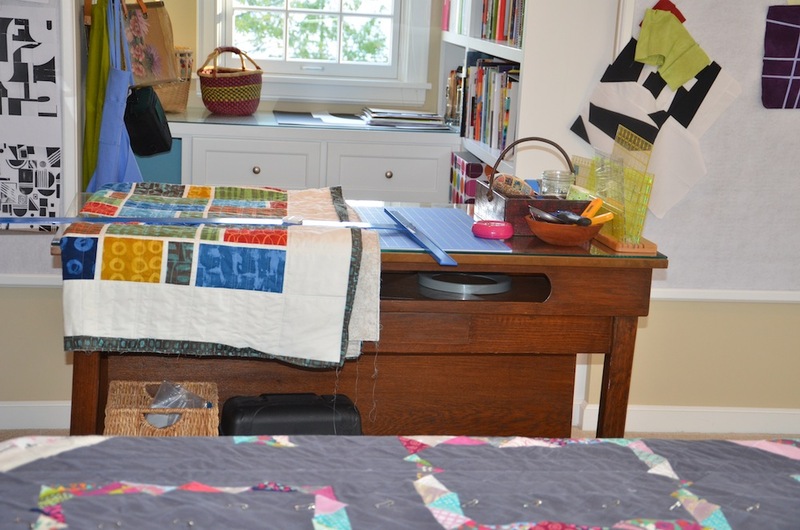 All the time I am machine quilting, I am staring longingly at my design walls which are covered with ideas. But, I know if I buckle down and finish procrastination items on my agenda and make a few gifts out of my post workshop slump, I will feel great. 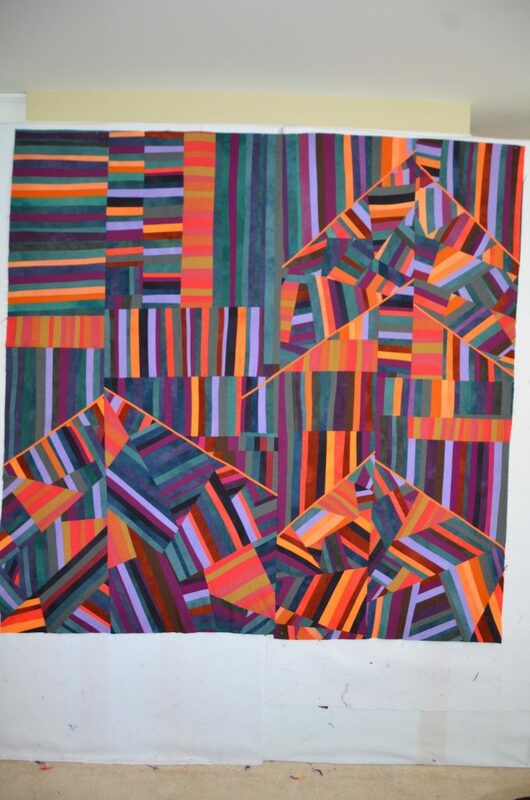 This entry was posted in machine quilting, Quilts 2013, Rooflines series on December 4, 2013 by Colleen Kole. I was tickled pink to have two pieces accepted into the 85th Regional Exhibition: All State Edition at the Muskegon Museum of Art. The opening was this past Thursday night at the museum and was very well attended. I had been so busy that I had no time to think or get excited about this event. But after catching a glimpse of someone stopping to look at one of the pieces, I am thrilled and honored. 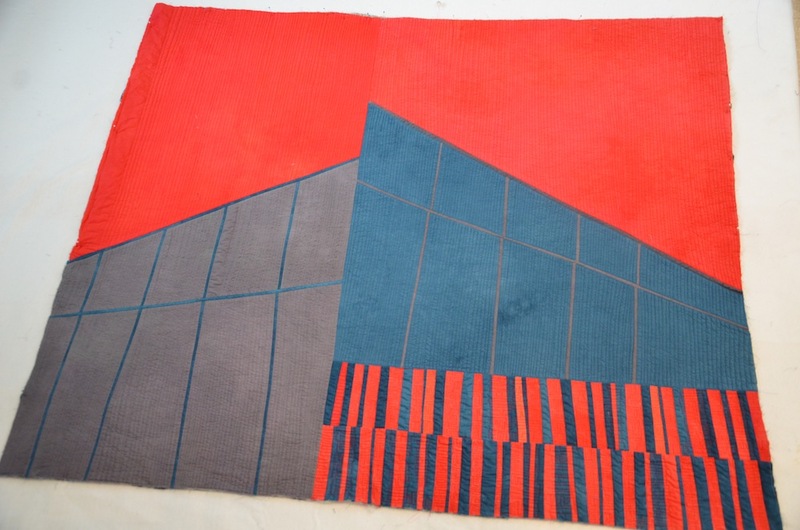 There were three textile pieces amongst the 180 pieces and two were mine! 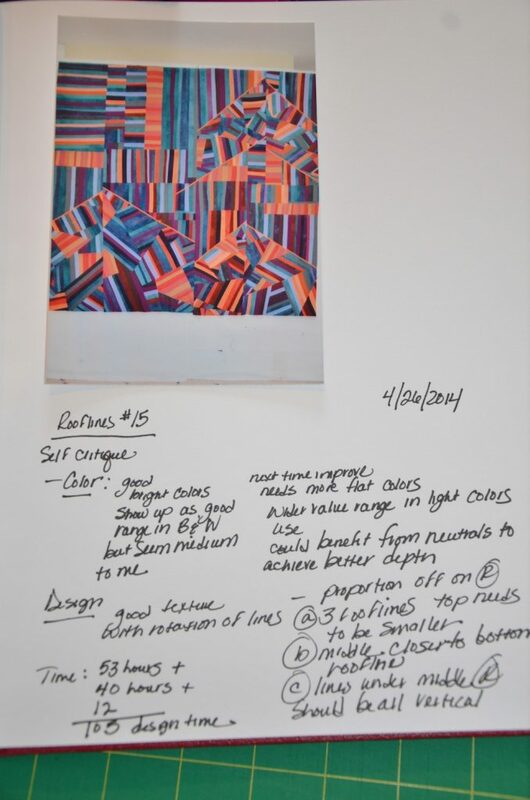 Rooflines #2 and Rooflines #8 have found their place out in the museum exhibit from May 23rd- August 22nd. I am sorry I didn’t take more pictures but just wanted to enjoy the event. 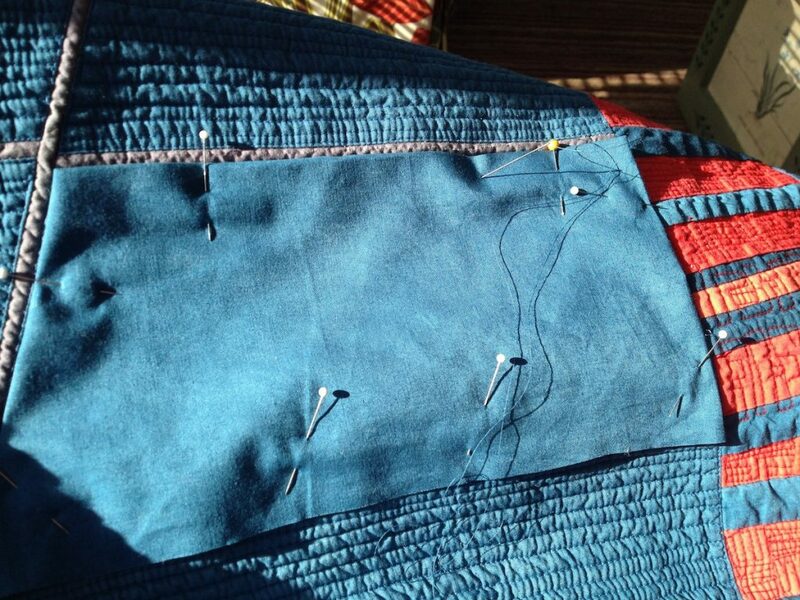 I went home and was quickly humbled by two hours of ripping out bad machine quilting on one of my next pieces. 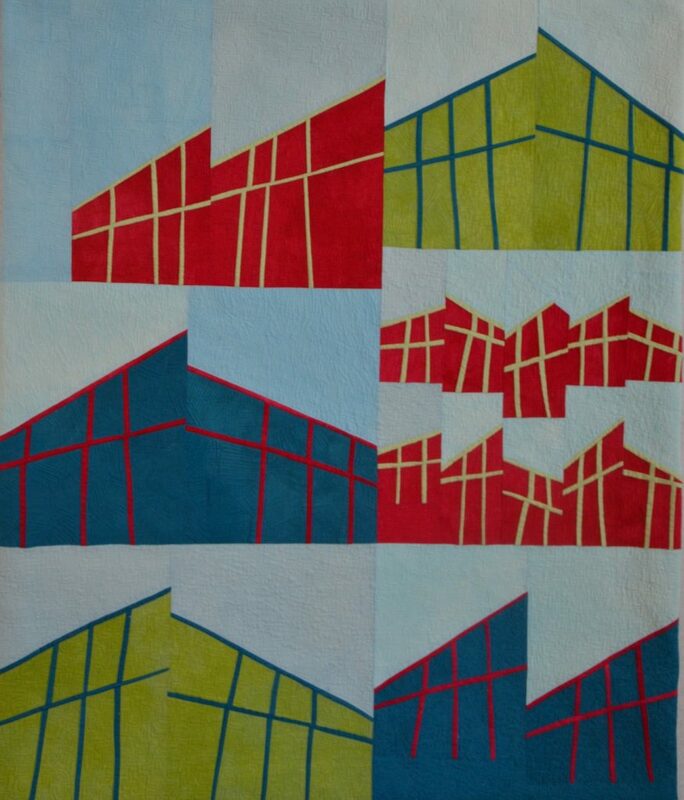 This entry was posted in Quilts 2013, Rooflines series on May 25, 2013 by Colleen Kole. 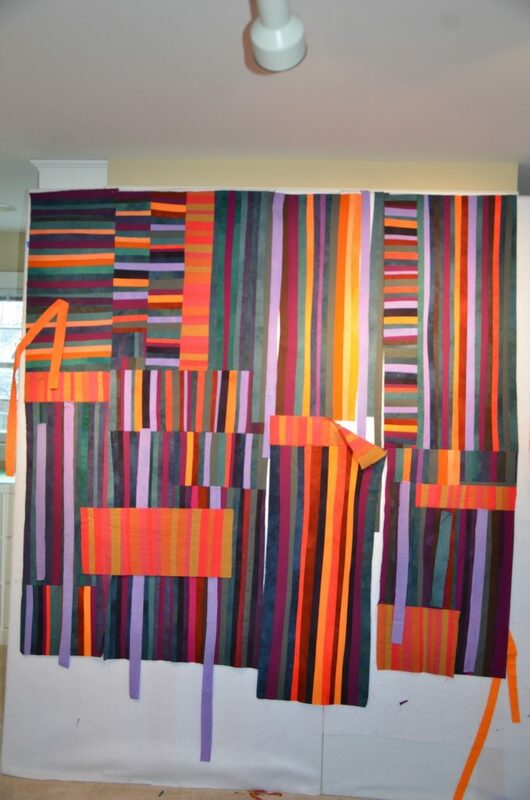 When I was planning out my year ahead, one of my big goals was to finish up my workshop quilts. All of them and, given the number, that would be my year. But when prompted by a reputable person (more about this later), I really didn’t have a good reason to complete workshop exercises. They were indeed exercises. And when I started taking a good hard look at the pieces, I could see how I would do each and every piece differently now. SO, I have learned from them and completing them really wouldn’t move me along any faster. 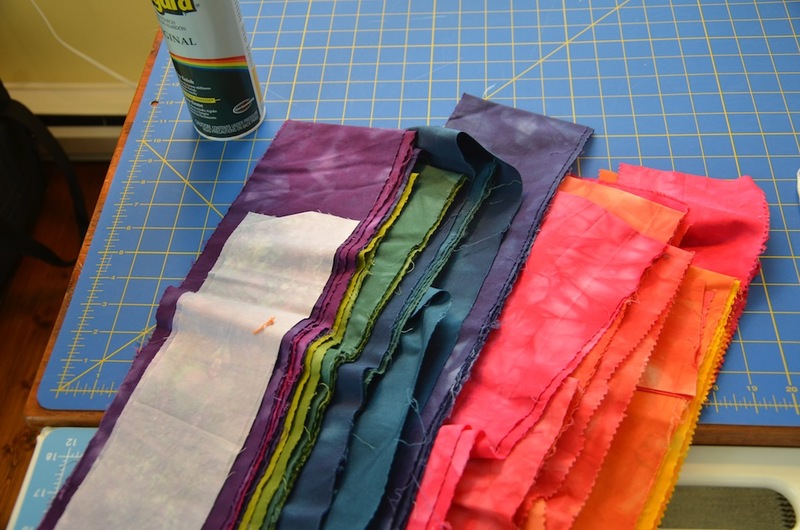 I will finish some of them for purposes of learning compositionally from them and also I will use them to practice free motion quilting on. But a much smaller number of those pieces will be finished. What I really want to focus on : move the Rooflines series ahead. I would like to have 20 or more done in this series by the end of the year. 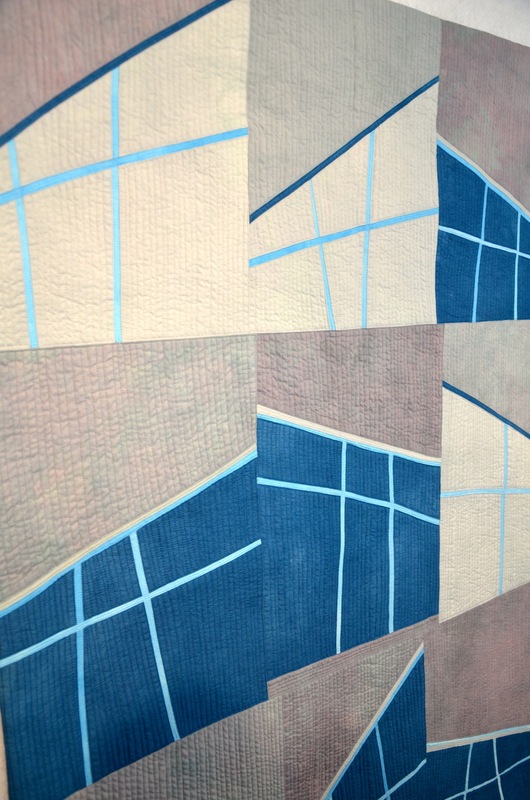 Last week, I went back and machine quilted my first sketch to include in the series. 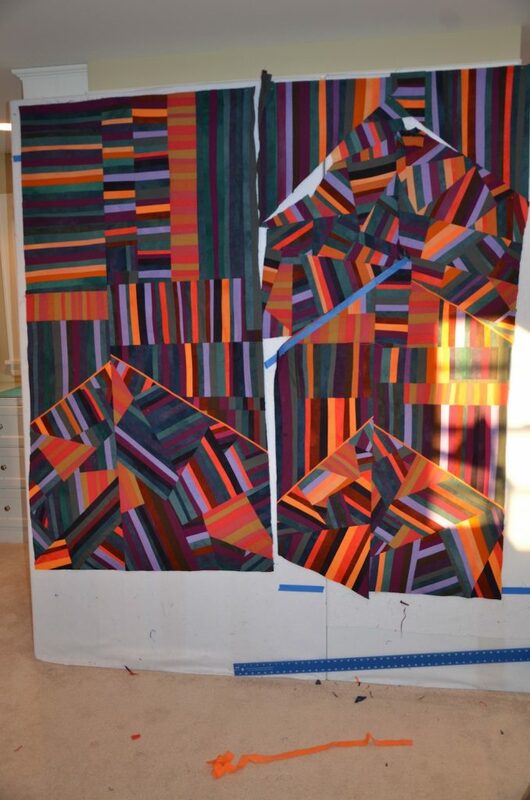 I have a few more that need machine quilting but then I am excited to move on. And so the year “officially” begins. This entry was posted in Quilts 2013, Rooflines series on February 6, 2013 by Colleen Kole.